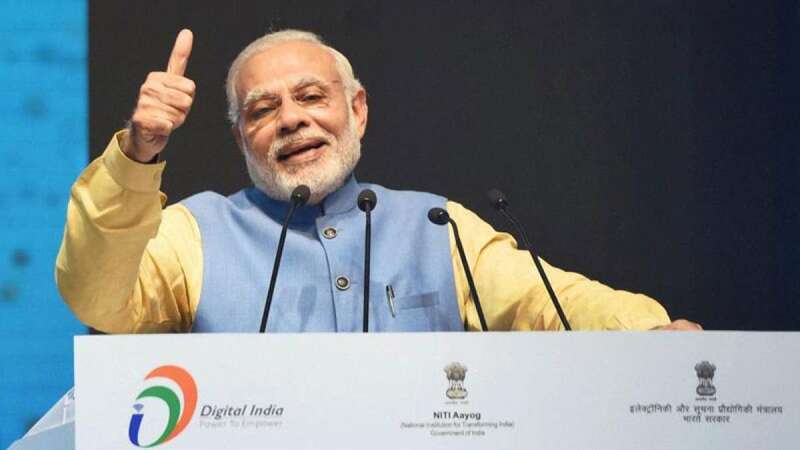 New Delhi : Prime Minister Narendra Modi on Friday launched a Unified Payment Interface (UPI) based application for ease of making digital payments. The application, which will be common across all banks and financial institutions, has been named as BHIM (Bharat Interface for Mobile). In 40-minute-long speech at Talkatora stadium, Prime Minister Narendra Modi inaugurated DigiDhan Mela, talked about Dr Bhim Rao Ambedkar's contribution in Indian economy and idea behind BHIM mobile app. "Right now, business happens by the way of [currency] notes and coins. That day is not far when all business transactions will be conducted through the BHIM app," the prime minister said in Hindi. Justifying the name of the application, he said that the credentials belong to a man who sacrificed his life for the downtrodden. "It is for the small merchant, farmers in far-flung areas, tribals. That's why its name has been borrowed from the man who sacrificed his life for the downtrodden," the prime minister said. Interesting fact about BHIM is that, it can be used even if there is no internet connection in the device. Only your thumb impression will be required to make the payment. PM Modi added, "Currently, it is being security checked. After it is launched, BHIM will not need a mobile phone, internet or even a feature phone. It will only need your thumb (impression)."